As I was looking into fly fishing I came across the Federation of Fly Fishers, an international organization that has been around since the 1940s with an aim to set a standard for what fly fishing should entail. 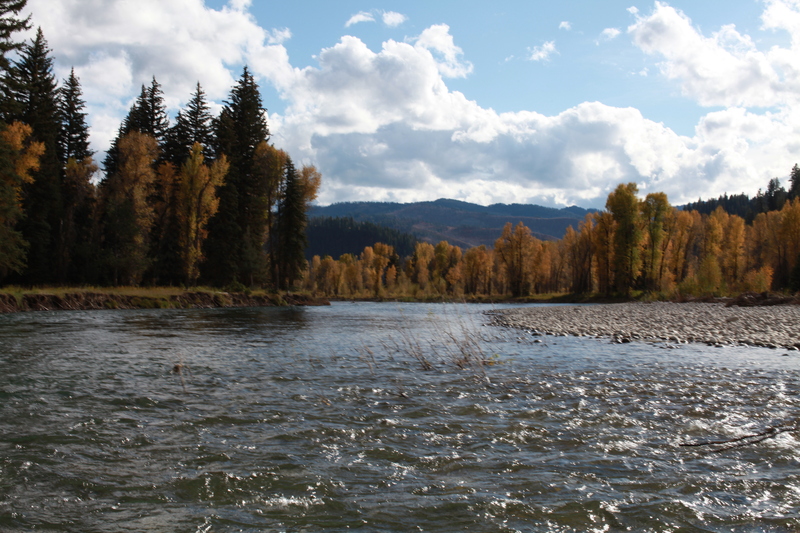 When people talk about fly fishing it is often talked about as a religion. When you see the guidelines, it’s easy to see why. It’s not just a sport but a way of life. 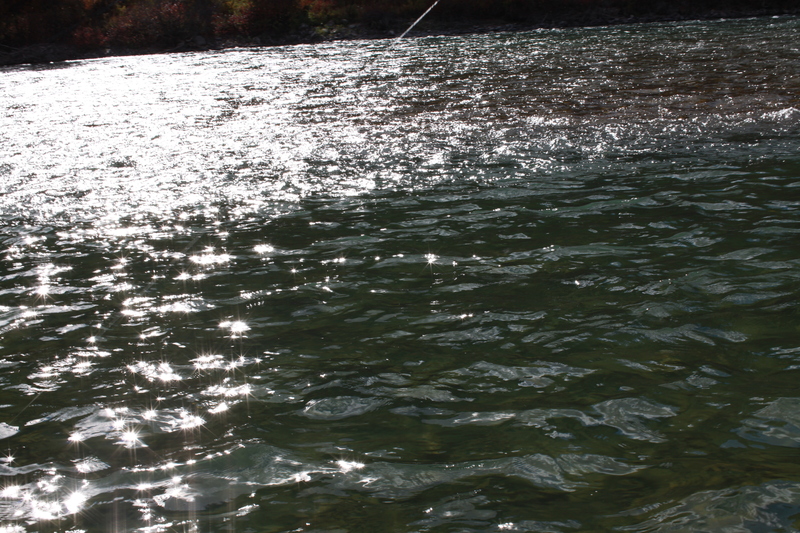 I like the idea of getting into fly fishing, because as a sport it really does teach you about life. There are few sports out there where you can not only challenge yourself but engage with the world around you in such a real way. 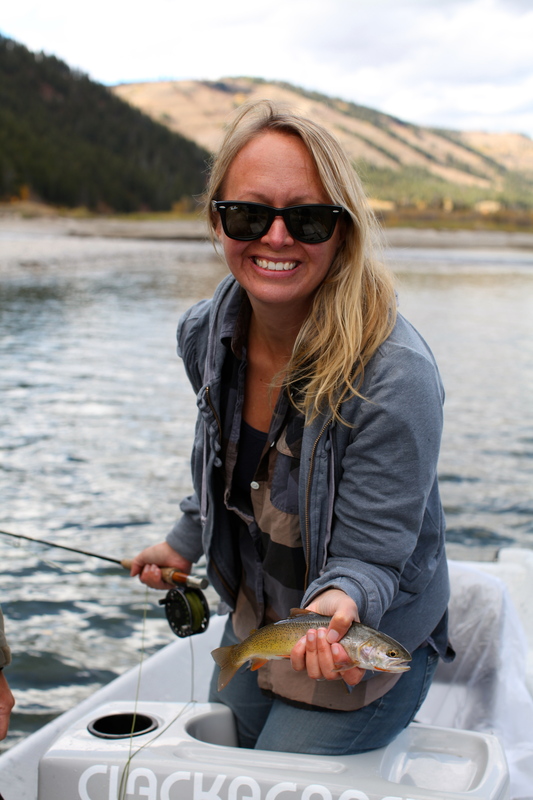 What I like about fly fishing is that the engagement also requires a code of conduct that makes you a better person in how you see the world around you, especially the natural world. It slows you down and gives you a sense of respect for Nature that we all typically are too busy to bother with. After yesterday I think I’m hooked on fly fishing. Even though I caught the tiniest one of the group I still caught my first cutthroat trout using a mayfly cripple pattern fly. 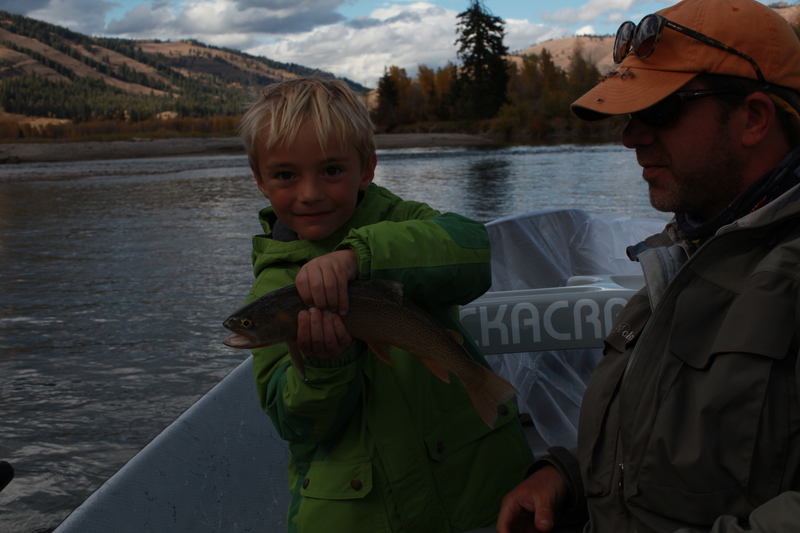 Yesterday was part lesson, part fishing so we started off by learning to cast, mend & float the fly. It’s definitely a rhythm it probably takes awhile to learn. He taught us to put the bottom of the pole in our shirtsleeve so we didn’t break our wrist which helped a lot. Our guide, JB, was really great and patient with us. 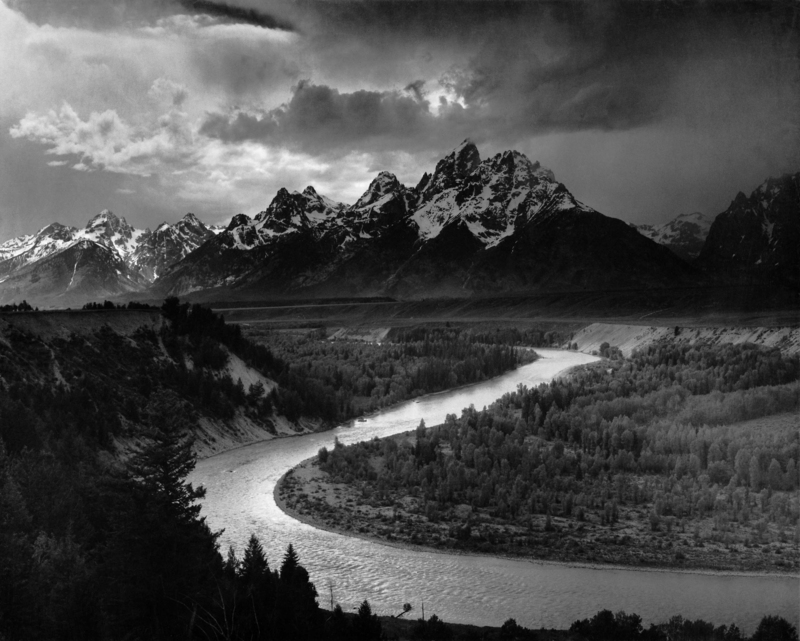 He’s been fly fishing in Jackson Hole for 14 years and started Fish on the Fly. We asked him if he gets a lot of clients like us and not surprisingly he said “not really”. He was a great sport though and made it a lot of fun for us. My sister also caught herself a nice size trout. I was kind of surprised we were able to catch anything on our first time. JB helped our 6 year old nephew out with casting and they also caught one. My nephew’s verdict was that it was pretty cool but slimy. Good assessment. Beyond the excitement of catching the fish, it was just really relaxing to be out on the river enjoy the swoosh of the cast and the sounds & sights of the Snake River. Just after one day I can see the draw of spending an afternoon out on the river. It is surely the cure for modern busyness. 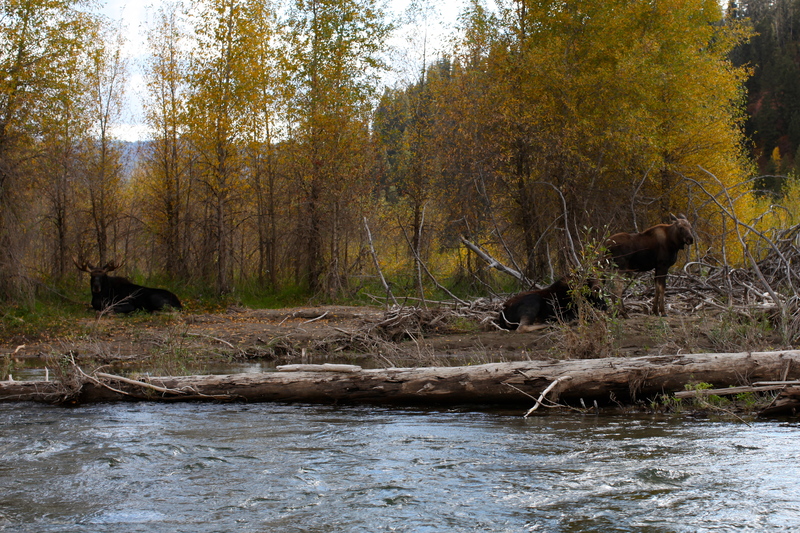 We were even lucky enough to catch a family of moose by the riverbank as we floated by. 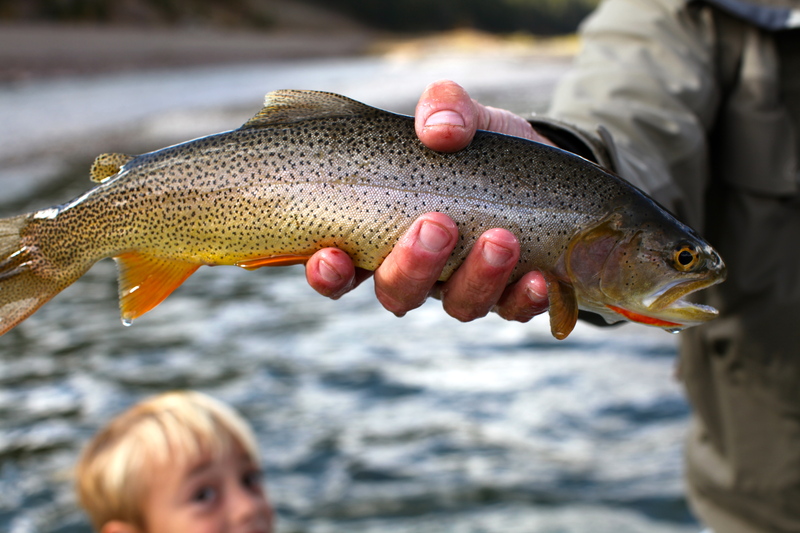 You are currently browsing the 40 fly fishing category at 52 To Do.